All sponsorship packages include admission to the banquet and auction for each shooter. Tournament proceeds benefit the programs of the Boy Scouts of America, Alamo Area Council. 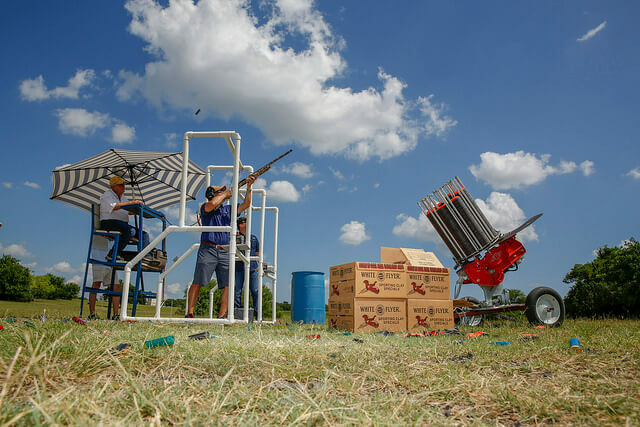 The Boy Scout Shoot Out is a fun filled afternoon, sporting clay competition, held annually at the National Shooting Complex to benefit the programs of the Boy Scouts of America, Alamo Area Council. Teams of five compete at various stations, accommodating all skill levels, to shoot 100 targets. The National Shooting Complex is one of the premier shooting facilities in the world, spanning 671 acres of San Antonio countryside. A dinner banquet, an exciting live and silent auction, and an awards ceremony follow the tournament play. Special events, such as the Boy Scout Shoot Out, provide support for Scouting programs council-wide.